Colorful laundry detergent pods are poisoning an increasing number of U.S. children, federal health officials warned Thursday. The Centers for Disease Control and Prevention (CDC) wants doctors to be on the lookout for symptoms tied to this dangerous trend in which kids are eating the pods because they may look like candy. "Clinicians should be aware that all household cleaning products and detergents have the potential to cause illness, but that laundry detergent pod exposures might represent an emerging public health concern," the CDC warned in its report. The report is published in the Oct. 19 issue of the agency's Morbidity and Mortality Weekly Report journal. Between May 17 and June 17, 2012, the CDC said there were 1,008 reports of laundry detergent poisonings. Of these, 485 -- or 48 percent -- were from exposures to laundry detergent contained in pods. Nearly every case was deemed unintentional, meaning children may have gained access to the toxic detergent without realizing the risk of their actions. Ninety percent of the pod-related poisonings were from ingesting the detergent. The average age the poisonings occurred was 3-years-old, compared with an average age of 7-years-old for non-pod detergent poisonings. About 94 percent of pod exposures were in children 5 and younger. "Parents and caregivers should keep laundry detergent pods, as well as other household cleaning products, out of reach and out of sight of children," the CDC said. "Health-care providers should be aware that exposure to laundry detergent from pods might be associated with adverse health effects more often than exposure to non-pod laundry detergents"
Common symptoms of ingesting the pod include vomiting (55 percent of cases) and coughing or choking. Some children also experienced drowsiness and nausea. A minor, moderate, or major medical outcome was seen in 80 percent of pod exposures, compared with 63 percent of non-pod detergent exposures. The CDC described cases of two critically ill children from Charlotte, N.C. -- one 20 months old, the other 15 months -- who began to vomit profusely after ingesting liquid contents from laundry pods before developing respiratory distress that required intubation. One of the children experienced seizure-like activity. Both children improved and were discharged within 36 hours. The agency also described two Philadelphia children who bit into a laundry pod and required emergency procedures. Both children developed swallowing problems and needed feeding tubes, but eventually were discharged home. In May doctors around the country warned of health risks from laundry detergent pods that children were confusing for candy. "We look at these pods as being clearly more dangerous than the standard detergent," Dr. Kurt Kleinschmidt, a Dallas toxicologist and professor at the University of Texas Southwestern Medical Center, said at the time. 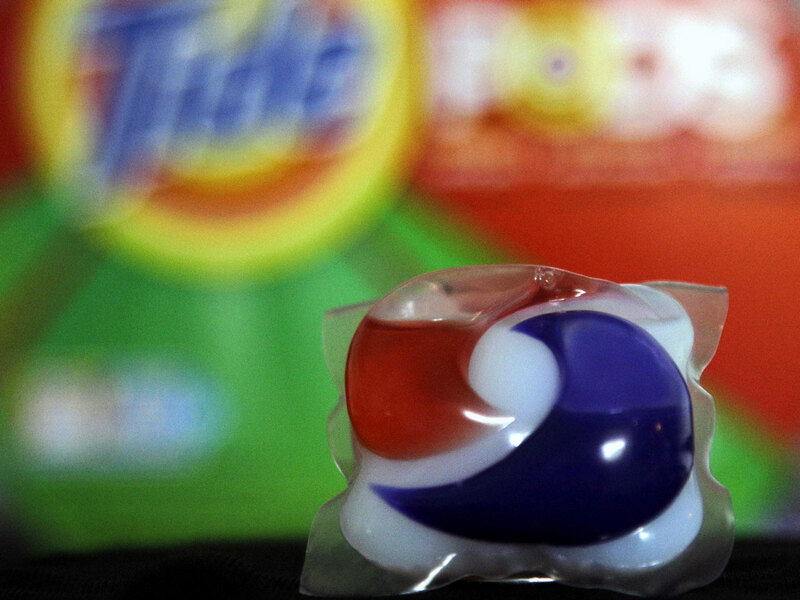 Paul Fox, a spokesman for Cincinnati-based Procter & Gamble, the parent company of Tide, also said at the time the company had plans to create a new double latch lid of Tide Pods. The CDC notes the company, which is the largest manufacturer of detergent pods in the U.S., added the latches and is collaborating with poison centers to collect data and identify risks associated with laundry detergent pod exposure.